Enters his sixth season as the Yankees’ Director of Strength and Conditioning… spent 11 seasons with Cincinnati (2003-13), including nine as their Major League strength and conditioning coordinator (2005-13)…was named the 2013 “Nolan Ryan – Hammer Strength” Strength Coach of the Year… the award honors the outstanding Strength and Conditioning Coach in professional baseball whose accomplishments, in the opinion of peers, reflect an exemplary dedication to strength and conditioning… was the Reds organization’s minor league strength and conditioning coordinator from 2003-04… prior to joining the Reds, spent three years in the Pirates organization, serving as the minor league strength and conditioning coordinator from 2001-02 and Single-A Hickory strength coach in 2000… also worked with the Chicago Cubs as an intern with Single-A Daytona in 1999… earned his master’s degree in physical education and wellness from Central Florida in 1999 and his bachelor’s degree in exercise and sports science from East Carolina University in 1997…is a certified strength and conditioning specialist (CSCS) with distinction from the National Strength and Conditioning Association (NSCA), is a Registered Strength and Conditioning Coach Emeritus (RSCC*D) and a certified athletic trainer (ATC) for the National Athletic Trainers’ Association…sits on the Performance Committee and is a national speaker for the NSCA, 2018 NCSA Strength Coach of the Year. He was the vice president of the Professional Baseball Strength and Conditioning Coaches Society (PBSCCS)for 6 years and currently is the President of the PBSCCS…was the American League Strength representative for the 2015 MLB All-Star Game in Cincinnati…the Lynbrook, N.Y., native is a former member of the U.S. Marine Corps, and resides in Tampa, Fla., with his wife, LuzMaria, daughter, Olivia and son, Matthew. James Clifford is in his 22nd season in the Mariners front office, his eighth since joining the Major League staff and his third as Director, Strength and Conditioning. He was the AL Strength and Conditioning Coach in the 2018 All-Star Game in Washington, DC. James spent the previous 14 seasons as Sports Science & Performance Coordinator and was responsible for implementing weight training programs at all levels of Seattle’s minor league system. James is a certified strength and conditioning specialist (CSCS) from the National Strength and Conditioning Association (NSCA), is a Registered Strength and Conditioning Coach Emeritus (RSCC*E). He was the AL rep for the Professional Baseball Strength and Conditioning Coaches Society (PBSCCS) 2015-18 and was elected to the position of Vice President of the PBSCCS at the 2018 MLB winter meeting in Las Vegas, NV. James had a six-year playing career in the Mariners minor league system from 1992-98. June, 2016 marked 25 years in the Seattle Organization for James. A Seattle native, he graduated from Ingraham High School in 1988, where he was an all-state selection in football and baseball. He was drafted out of high school by the Mariners in 19th round in 1988, but elected to attend and graduated from the University of Washington where he starred in baseball and football. James led the Pac-10 in tackles (164) in 1989 as an inside linebacker and was a member of the Huskies 1991 National Championship team. He played one season of college baseball in 1992 and led the Huskies to their first postseason appearance since 1959. James resides in Peoria, Ariz., with wife Kimberley and daughters Kaelyn, Kennedy and Kinley. Entering his 13th season in professional baseball, and 1st as the Head Major League Strength and Conditioning Coach for the Toronto Blue Jays. Previously held positions as Assistant Major League Strength and Conditioning Coach (2017-2018), Minor League Coordinator (2016), Assistant Minor League Coordinator (2014-2015), and Advanced-A affiliate Strength and Conditioning Coach (2012-2013) with the Toronto Blue Jays. Entered professional baseball with the Chicago Cubs strength and conditioning staff from 2007-2011 as the AAA Strength and Conditioning Coach and the Assistant to the Minor League Strength and Conditioning Coordinator. Was the Strength and Conditioning Coach for Team Canada at the 2017 World Baseball Classic. Was the Strength and Conditioning Coordinator, Netherlands Region, with MLB International from 2012-2013. Facilitated a start up youth training academy, Athlete School (Waukee, IA) at SportsPlex West in 2011. Worked as a Graduate Assistant Strength and Conditioning Coach at Morehead State University (Morehead, KY) from 2007-2008. Was a strength and conditioning intern at Drake University (Des Moines, IA) from 2006-2007. Earned his Master of Arts Degree in Health, Physical Education and Sport Sciences from Morehead State University (Morehead, KY) in 2008, and his Bachelor of Arts Degree in Health Promotion – Fitness Management from Grand View University (Des Moines, IA) in 2007. Attended Porterville College (Porterville, CA) from 2003-2004. Played three (3) years of varsity baseball at Grand View College (Des Moines, IA), and was named team captain 2007. Presented with the 2007 Champion of Character Award – Baseball – Grand View College, a 2007 Academic All-Region VII Selection, and 2006/2007 Academic All-Conference (Midwest Classic Conference) Selection. Played one (1) year Varsity Baseball at Porterville College (Porterville, CA). Is a Certified Strength and Conditioning Specialist (CSCS) and Registered Strength and Conditioning Coach (RSCC) from the National Strength and Conditioning Association (NSCA). Presented at the Blue Jays Baseball Academy National Coaches Clinic (2018), PBSCCS Winter Meetings (2016), European Coaches Clinic (2012) and Nova College CIOS (Haarlem, NL 2013). 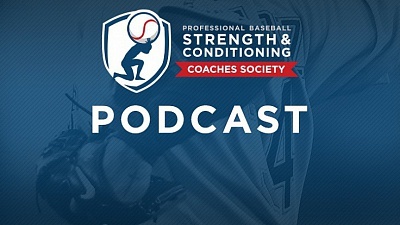 Currently the Treasurer of the Professional Baseball Strength and Conditioning Coaches Society (PBSCCS). Originally from Kelowna, British Columbia, Canada and currently resides in Dunedin, FL. Joined the Red Sox organization in 2016 and is entering his 4th season as the Red Sox Head Strength and Conditioning Coach. Prior to joining the Red Sox, spent 15 years (2001-2015) in the Pittsburgh Pirates Organization in a variety of roles, such as S&C Specialist, Assistant ML S&C coach, Latin American S&C coordinator, and Minor League S&C coach. Started his baseball career as a S&C intern in the Tampa Bay Rays minor league system. Earned his master’s degree in physical education and wellness from Central Florida and his bachelor’s degree in physical education from Nippon College of Physical Education. Is a certified strength and conditioning specialist (CSCS) from the National Strength and Conditioning Association (NSCA), is a Registered Strength and Conditioning Coach with distinction (RSCC*D). Served as S&C coach for the team of MLB players that played in Japan All-Star Series in 2014. A native of Nagano, Japan, resides in Belmont, MA with his wife, Lucianna and sons, Tristan and Kiyan. Lee is entering his 3rd season as the Head Strength and Conditioning Coordinator for the Los Angeles Angels. Lee is also the Founder and Part-owner of Dynamic Sports Training in Houston Texas. From, 2012-2016, Lee served as the Strength & Conditioning Coach for the University of Houston’s Baseball Team. During the 2008-2012 quadrennial he served as the Assistant Strength and Conditioning Coach of the United States Olympic Sailing Team. He and his company have been featured on ESPN as well as in USA Today, The LA Times, Houston Chronicle, and The Boston Globe. Lee was a four-year letter-winner in football at Eastern Illinois University. It was there he discovered his passion to help athletes reach their goals. He founded DST in 2008 with the vision of challenging every individual athlete’s genetic potential in their sport. In his free time, he enjoys learning and pushing his boundaries through various professional development opportunities. The rest of his time he shares with his wife, Crystal, and their three daughters, Alana, Alexa and Aleah. Is in his 14th season as the D-backs’ Strength & Conditioning Coordinator. He is responsible for implementing data-based research to further develop programs and procedures in accordance with injury prevention and performance enhancement. Had a 3-year stint in the Tampa Bay Rays’ organization from 2003-05. Spent 2 years with the Toronto Blue Jays in Spring Training (2001-02). A 2001 graduate from the University of Florida with a bachelor’s degree in exercise and sport sciences. He and his son, Jonathan, reside in Chandler, Ariz.
AJ Seeliger joined the Athletics organization in 2013 and is entering his seventh with the club, third as the Minor League Strength and Conditioning Coordinator. Prior to joining the A’s, Seeliger spent one season with Miami Marlins serving as the Short-Season Jamestown Strength and Conditioning Coach in 2012. AJ earned his bachelor’s degree from Washington State University and his master’s from A.T. Still University. A native of Winnemucca, Nevada, AJ currently resides in Gilbert, AZ with his wife, Ashlie. A Philadelphia native, Furey joined the Phillies staff in December of 2016 after four years as a member of the Pittsburgh Pirates player development staff. Furey worked as a strength coach at four minor league stops for the Pirates: Indianapolis (AAA), Altoona (AA), Bradenton (A) and Jamestown (A). At the collegiate level, he spent one year (2013) as the assistant strength coach for Temple University football and two years (2012-2013) as the head baseball strength coach for North Penn High School. Furey is a certified strength and conditioning specialist (CSCS) and registered strength and conditioning coach (RSCC) through the National Strength and Conditioning Association (NSCA). He is also a certified level 1 coach with USA-Weightlifting. This is Furey’s first year serving the PBSCCS board as Minor League Representative (National League). Furey earned his Bachelor of Science degree from Temple University and currently lives in Palm Harbor, FL. 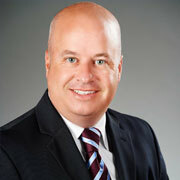 Dennis Pitts is a senior manager within the audit department of Wipfli, LLP a national accounting firm. With over 20 years of experience, he has provided consulting and tax services to organizations within Major League Baseball, the National Football League and the National Basketball Association. Pitts is a graduate of Philadelphia University with a bachelor’s degree in accounting. He is a certified public accountant in Pennsylvania and a member of the American Institute of Certified Public Accountants as well as the Pennsylvania Institute of Public Accountants. Additionally, he is a board member of the Philadelphia Catholic Charities Appeal and West Norriton Little League. Dennis resides outside of Philadelphia, PA with wife Lynne, their twin sons, Denny and Ray, and daughter Charlotte.